Ready for Some Summer Fun on the Lake? It looks like these two are ready! Why Make a Trip to Pichincha in Ecuador? Continue reading Why Make a Trip to Pichincha in Ecuador?. “Survival of the fittest” means best fit of life forms and their environments. Attempts to create human perfection is wrongheaded and prejudicial. Instead, as a society we should focus on creating environments (physical, social, cultural etc) that increase survival, comfort and the active participation of all members of society. Here is an example of where Darwin shines as a very early proponent of the social model of disability. Whereas the German naturalist interprets Darwin as finding imperfection in individuals, Darwin recognized that individuals “perfection” can only be understood in relation to their environment. Continue reading Simi Linton on the Evolution of Adaptation. Four Stories of Universally Designed Space - Built with Off-the-Shelf Products! "There's nothing special about this," [Catlin] said. "It's just about doing the research. It's about thinking about things upfront." Virtually everything in the building was purchased off-the-shelf from typical suppliers. One of the only custom-made items in the building is a stainless-steel typewriter built into the elevator wall, allowing deaf passengers to communicate in case of an emergency, Catlin said. "We want people to know how easy it is to do," he said, "once they know the right questions to ask." Continue reading Four Stories of Universally Designed Space - Built with Off-the-Shelf Products!. One job of an editor is to sift through available stories and make selections - "move one to the head of the line" so to speak. I can only imagine how outrageous it appears when I’m wheeled to the head of the security line, and then I get up and walk through the metal detector. Or when I’m wheeled to and dropped off at the departure gate and then I wander around browsing in the nearest magazine shop until it is time to leave. Or if I get up to board when they make the announcement for those who need extra time. I wonder if some of the security guards suspect me of a terrorist plot, if other passengers think it is a ploy to avoid the endless lines, or if stewards doubt my need to get on the plane first, but what can I do besides try to limp for their benefit? On the other hand, there are times when my disability is quite apparent. Being visibly disabled is a double-edged sword as it provides an obvious explanation while burdening one with society’s (and one’s own) mixed attitude toward disabilities. I often think that illness is the last frontier in topics that can be spoken of in a personal or professional context. Hale and hearty people feel uncomfortable bringing it up or are simply oblivious to health issues, and I fluctuate between wanting it to be “out there” and keeping it a private matter, not wanting to be solely defined by my illness. Um evento que perdi foi sobre turismo inclusivo -- congresso organizado pela Escola Superior de Educa? ?o de Coimbra, no Mélia Palácio da Lous?. Continue reading Congresso de Turismo Inclusivo em Portugal (Portuguese). TripCart is a fine travel blog. Keith at TripCart has done a great service to travel bloggers by adding some organization to the ever-expanding T[travel]-List. What you see below is his list and code (snatched straight from his site) with a little cleanup to the Portguese language contributions. BTW, don't miss Keith's brilliant Picture-of-the-Day entries! Continue reading TripCart Spotlights the T-List. Continue reading The Text of the Hotels.com Discrimination Complaint. IBN News reports that Air Sahara has responded to the international scandal that it caused by attempting to roll back the rights of travelers with disabilities. Jetlite, a division of Jet Airways and was formerly Air Sahara, on Thursday apologised to Rajiv Rajan with cerebral palsy for refusing to let him board a Delhi–bound flight in Chennai on Monday. The airline also said it would sensitise its staff to the special needs of people with disability. "We regret the inconvenience caused to Rajiv Rajan. We will train our staff to be sensitive towards people with special needs. We apologise for the inconvenience," Jetlite said in its public apology. Already the premise of the "solution" is faulty. It is not "special needs" of the disabled at issue here but the universal needs of customers for quality service. Once again, people with disabilities -- with knowledge of their dignity and a strong sense of community -- spoke the truth that all fliers experience with increasing reglarity: The customer service quality of the air travel industry has deteriorated to an intolerable degree. When we fly we are customers first. Air Sahara made a disastrous business decision. It confused the ability to segment markets for research and marketing purposes into a decision to enforce a caste system relegating some demographics to perpetual disservice. The problem does not lie at the level of line staff. "Sensitising" them with some incident-driven face-saving is not sufficient -- although, as the Service Employees International Union points out, it is necessary even from the line worker's perspective. The airline's act was not an inconvenience. As numerous commentators have noted, it was an assault on dignity. It jeopardized a man's livelihood. It severely damage brand identity. It was a violation of law. It was the revelation of a business ethic that remains distorted at the highest executive levels of the airline. Until the ethical handicap is removed at the source it will continue to afflict the entire company. The training needs to be delivered first in the Air Sahara Board Room. It needs to be a curriculum created by people with disabilities. The disability community alone can ably instruct the company on the conditions under which it will eagerly turn over its hard-earned finances to be satisfied customers. They have done so in numerous countries around the world. And Rajiv Rajan needs to be lead trainer. That would be an apology. That would be good business. Sincere apologies are followed by acts of reconcilliation. Effective reconcilliation requires accurate knowledge of the aggrieved party. The International Conference about Training Accessible Tourism for All on March, 10th, 2007 was organized by three EU-projects DIADA, EU.FOR.ME and EQUAL-Fairway ... parallel to the International Tourism Fair Berlin (ITB). 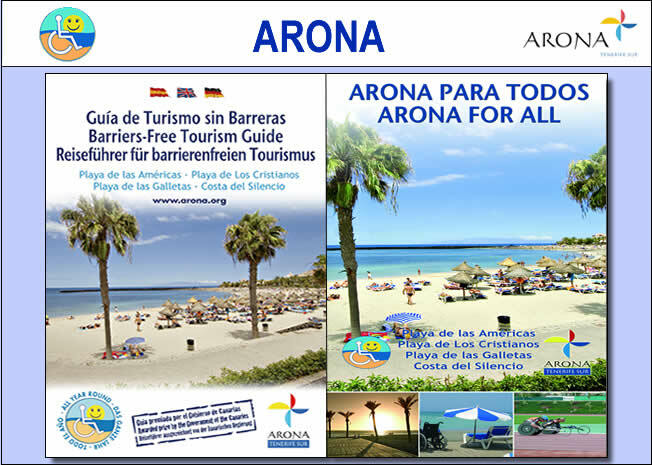 Continue reading Training for Inclusive Tourism: Resources from ITB 2007. There is a comfort to culture. A shared history helps weave the tentative threads of introductions into a tangled web of conversation that does not want to end. 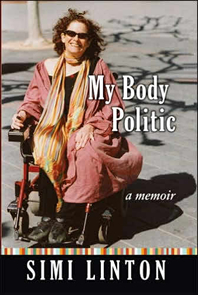 Last night there was more than 100 years of disability culture’s history-making in the room as Deborah Kaplan hosted a barbeque and impromptu salon in Oakland, California. I look forward to her plan to plan to extend the ritual into the South Bay soon. The evening was quintessential disability culture – unavoidably interdependent as the tasks of meal preparation, serving, and clean-up ebbed and flowed between guests of differing abilities. Held in a co-housing community, with food gathered from street markets and shops no more than three accessible blocks distant, the menu featured stories shared with humor and intelligence. Continue reading To Oakland, California: A Short Trip - A Long History. Gr8! Now we can all get in -- let's work on becoming rich and famous! The National Organization on Disability ( http://www.nod.org/ ) has announced the National Partnership Awards program (link to .pdf), a new competition for forty eligible [museums] from across America designed to recognize their work on behalf of people with disabilities. The associations are invited to demonstrate, via the competition, their leadership in supporting local initiatives that benefit people with disabilities. Continue reading US National Organization on Disability Announces Museum Partnership Awards Program. There is not a lot of content on the topic of travel at the Handica.com blog -- but their intention is good! "We've been facing discrimination from various airlines and Monday's incident was the height of it. It not only violated human rights, but also the International Civil Aviation rules," said Smitha, Assistant Coordinator – Vidyasagar, an NGO which organised the agitation. 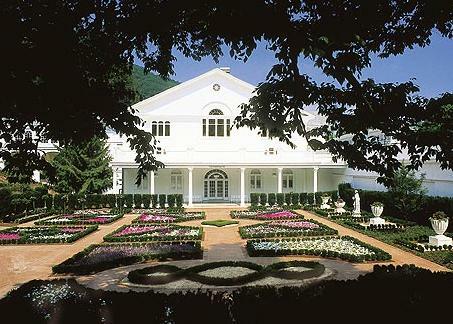 Continue reading Vidyasagar and India's National Trust Raise the Pressure on Air Sahara. The Board has released for public comment new accessibility guidelines for Federal parks and recreation areas. As proposed, the guidelines address access to new or altered trails, beaches, and picnic and camping areas on sites managed by the Federal government. Achieving accessibility in outdoor environments has long been a source of inquiry due to challenges and constraints posed by terrain, the degree of development, construction practices and materials, and other factors. In developing these guidelines, the Board seeks to clarify how, and to what extent, accessibility criteria can be applied to outdoor developed areas. Continue reading US Access Board Proposes Guidelines for Federal Outdoor Developed Areas. CNN–IBN hosted a panel comprising an aviation expert and disability activists on the show India 360 to discuss the treatment of Rajiv Rajan By Air Sahara. Rajiv with cerebral palsy – which essentially means a brilliant mind caged inside a disobedient body – was denied permission to fly Air Sahara, which is now called JetLite after Jet Airways took over the airline, on Monday. The passenger was also made to wait at the airport for three long hours in spite of his special condition. The Director General of Civil Aviation has already served a notice on the airline, asking for an explanation on the treatment meted out to Rajiv Rajan. On its part, the airline pulled out the rulebook to defend itself, saying Rajiv was not allowed to board the aircraft in compliance with the rules of International Air Transport Association. "If they are not accompanied by somebody, or they don't have a certificate to certify themselves medically fit to fly, then under IATA regulations, it would be inappropriate to board them," Garry Kingshott, Ceo of JetLite, says. But Rajiv claims he doesn't need a fit to fly certificate. "Fit to fly certificate is meant for medically ill people, not for disabled people. I thought they were going to push me off my wheelchair. So, I left and called the police," he says. Rajiv says this was not his first brush with such discrimination. In fact, he had suffered at the hands of Jet earlier as well. The treatment meted out to Rajiv has now thrown open a debate about equality and right to dignity of disabled people and also about the discrimination faced by these people in their day to day life. Continue reading Offloading Rajeev: Buffeted by Unfriendly Skies. We are a cross-disability organization located in India, headquartered in Chennai, working for the empowerment, integration and rights of persons with disabilities. Towards this, the Foundation undertakes a wide spectrum of activities ranging from publishing to public programmes, from job-oriented courses to job fairs, from radio broadcasts to international film festivals. Each activity aims at the singular goal - inclusion of disabled persons in all spheres of life. 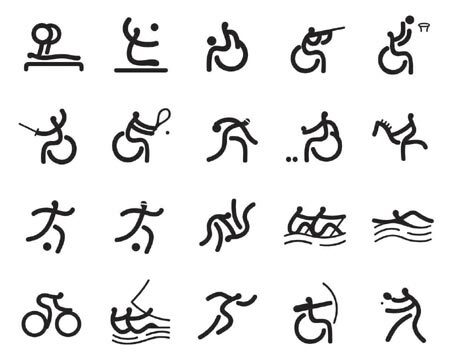 Ability Foundation, a Chennai–based NGO for disabled people, is offering a cash prize of Rs 2.25 lakh for the best entry, said a press release. The competition is open to all. Participants are required to submit an original film and winners will be selected by a panel of eminent jurors. The last date for submission is August 16, 2007. The best entries will also be screened at Ability Fest 2007, the India International Disability Film Festival, to be held in Chennai this October. Ability Foundation is also involved in publishing a magazine, providing vocational training qualified disabled people, holding placement programmes, workshops and seminars, hosting a weekly radio programme and creating awareness on the rights of people with disabilities. For more information log on to www.abilityfoundation.org. Let me state my bias from the outset, "I support Rajeev Rajan and his discrimination complaint against SpiceJet and JetLite." Further, I find it very encouraging that the government of India has taken swift and forceful action on his behalf. I have asked Rajeev to send in his own account of what occurred for publication in the Rolling Rains Report. Here's a point under debate. Were the airline personnel malicious? Insensitive? Ignorant? On the one hand, none of that is important in light of the abuse of Rajeev's rights and dignity. On the other, locating the source of the problem may illustrate that we have further evidence supporting the California SEIU's claim that airline workers, who often have the best of intentions, are placed in impossible situations through lack of training. If that is true, then we have the opportunity for a truly global movement of solidarity in which both consumers and service providers are passionatelys striving for the same outcome. My observation is that, for all the promise of this encouraging convergence of goals the cause of the problem lies in the failure to design transportation systems around the principles of Universal Design. And, that failure of imagination points to systemtized injustice embedded in travel industry business practices and resulting in lost revenue. The cause of the problem lives in managerial suites far removed from the site of the conflict. The government has reacted strongly to NDTV's report of a disabled person who was not allowed to board an Air Sahara flight on Monday evening in Chennai without first getting a fit-to-fly certificate. The Director General of Civil Aviation (DGCA) has issued a notice to the managements of SpiceJet and JetLite (Air Sahara's new name) asking for an immediate explanation. The airlines could face action if the DGCA is not satisfied with its reply. Continue reading Violation in Chennai: Air Travel Denied Disability Activist. The Access Board will determine guidelines on emergency housing in the wake of disasters such as Katrina. The only real question: Will all FEMA-funded manufactured housing units be Visitable? Continue reading Post-Katrina: US Access Board to Name Advisory Panel on Emergency Transportable Housing. Chani over at her Thailand Gal Bog does something I'd like to see more of. She explores disability in Serenity.... Coming to peace with disability.... but she does so in the context of a blog that is constantly weaving between cultures. If you are a young person in India who wants to pursue a career in tourism there are numerous courses available. But what if you also have a disability and have a special interest in Inclusive Tourism? The first question has a straightforward answer that involves a national Reservation (Affirmative Action) System. The availability of quality curriculum on inclusion in the travel & hospitality industry is less apparent -- which his probably not a hopeful sign. Continue reading Travel Career Options for People with Disabilities in India. Documentation of Inclusive Travel is catching on all over. Continue reading Travel Abroad Testimonials from the Disability Community. Continue reading A World Record in Progress for Blind Sailors. In Malaysia Peter Tan posts on Topong's life while from her home in New York Brazilian activist Takeo Ogura writes for the World Federation of the Deaf (WFD) . Therefore, there was a great reluctance in my heart to accept that this great person has left us so soon and so suddenly. 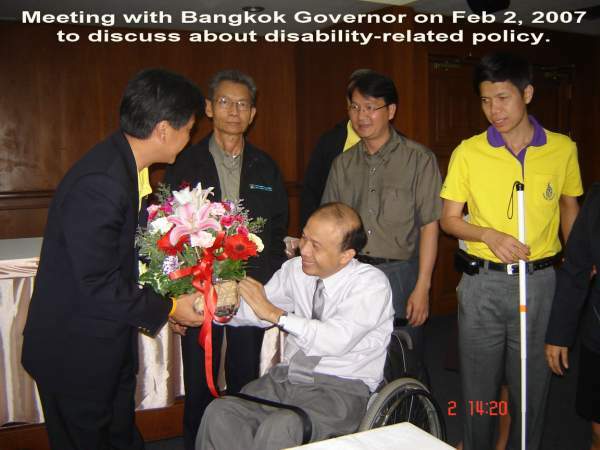 There is still so much that he can do to contribute to the disability movement in Thailand and the Asia-Pacific. There is still so much that we can learn from him. He was a free spirit and very charismatic. He never let his disability stop him from living life to the fullest. His demise has left a gaping void in the disability movement that will be difficult to fill. Continue reading Friends Around the World Eulogize Topong Kulkanchit. The Devil Wears Prada -- and Drives an Amigo? We could have a lot of fun with this if I could find a satisfacory comment system plug-in for the Rolling Rains Report! This article, received through the generosity of reader Scott Seale, ought to provoke some thought. Let me lead in by reiterating my refrain that conflicts over scarce resources -- scarcity itself as a "fact" of life for people with disabilities -- is primarily a policy decision. It is the decision not to implement Universal Design. Michelle Bailey, a 22-year-old Texan, takes a break in Las Vegas on her scooter. She says four-inch heels are why she uses it. In increasing numbers, Las Vegas tourists exhausted by the four miles of gluttony laid out before them are getting around on electric mobility scooters. These aren't trendy Vespa motorbikes. They are more like updated wheelchairs. Forking over about $40 a day, healthy tourists are cruising around Las Vegas casinos in transportation intended for the infirm (sic). But how does all this impact the disability community? 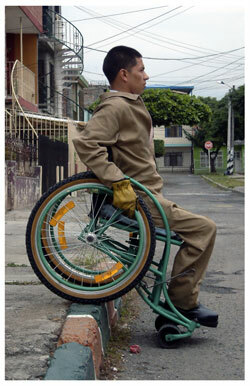 The elimination of stigmatization of disability and, by extension, adaptive equipment, is a good thing, right? It is something we have worked at tirelessly for decades. "It was all the walking," 27-year-old Simon Lezama said on his red Merits Pioneer 3. Mr. Lezama, a fit-looking restaurant manager from Odessa rented it on day three of his five-day vacation, "and now I can drink and drive, be responsible and save my feet." "Several hotel bell desk workers, who handle most rental requests from tourists, said they try to discourage people who do not appear to need the scooters. But refusing the self-indulgent is not a viable option." Watch for this story to permute and repeat itself around the world wherever Inclusive Destination Development is not adopted and as Boomers age into "the travel years." Continue reading The Devil Wears Prada -- and Drives an Amigo?. Iloho is a new online community for travelers, with a distinct focus on airfare, set to launch sometime tonight. The company is backed by WebFlyer Network owner Randy Petersen. This community is for user-generated news and reviews from travelers. Partnering with FlyerTalk and the WebFlyer Network, Iloho has created a community for trip planning in a more defined manner while layering in information gathered from other users. Stories can be rated so that the most helpful users’ content is the most relevant for searches. Users can share itineraries and use geo-tagging to better provide an integrated travel experience, while Iloho provides fare comparison functionality to help you find the best airfare deals. In related news, TripAdvisor is working in some more community-oriented features for its travel site as well. Mereka bisa melihat dengan jelas isi dunia, mereka bisa berjalan menjelajahi isi dunia, tapi apa yang mereka bisa ketahui tentang indahnya kicau burung, tangisan seorang aktris di layar televisi atau bunyi alarm tanda kebakaran? Tuna rungu dalam deskripsi yang dikeluarkan oleh WHO adalah mereka yang kehilangan keseluruhan kemampuan untuk mendengar baik dari salah satu atau kedua telinganya. Data WHO tahun 2005 menunjukkan bahwa 278 juta penduduk dunia mengalamai kehilangan pendengaran di kedua telinganya dari tingkatan sedang hingga berat. Secara fisik, teman-teman dari tuna rungu memang tidak terlihat mengalamai hambatan, namun tanpa kita sadari kelompok ini termasuk yang sangat sulit mengakses lingkungannya. Karakter mereka yang -pada umumnya- juga mengalami kesulitan dalam berkomunikasi secara oral, dan bahkan pada banyak penderita tuna rungu sangat mempengaruhi kemampuan mereka memahami kalimat, menyebabkan mereka sulit untuk dapat beradaptasi dengan lingkungan yang -mau tidak mau harus kita sadari -dibangun sebagai lingkungan dengan budaya lisan. Dari karakter tuna rungu tersebut, kita dapat memahami bahwa apa yang hingga ini sulit mereka dapatkan adalah akses terhadap informasi. Pertanyaannya kemudian adalah apa yang dapat kita lakukan untuk merubah kondisi tersebut menjadi lebih baik? Beberapa contoh dalam berbagai bidang berikut ini barangkali dapat menjadi sebuah wawasan maupun pemicu kreatifitas dalam menciptakan aksesibilitas informasi untuk semua tanpa terkecuali bagi tuna rungu. Continue reading Media Informasi Yang Aksesibel: KetikaTuna Rungu Membaca Dunia (Indonesian). I have exciting news! Our Access Tempe Guide is available on line and it is accessible to those who use screen readers. Now information about Tempe’s accessible features and services is just a click away. You may view the Access Tempe Guide by following this link: http://tempecvb.com/Access.asp. Continue reading Greetings from Accessible Tempe!. Bem o que narro aqui s?o fatos que aconteceram durante sete anos de minha vida. Fatos estes que me deram muita tristeza, as quais tento transformar na mais pura alegria. O sofrimento n?o deve ser levado como penitência ou castigo e sim a oportunidade de aprender melhor sobre o que a vida nos oferece, é como se fosse uma segunda chance que para a maioria das pessoas isso n?o ocorre. Para quem tinha toda uma vida pela frente e num segundo, um carro quebrado, um outro vindo em nossa dire? ?o, uma luz forte e o tempo de uma frase “vai baterrrrrr.....”, e pronto tudo perdido. E aqui estou eu, hoje com 33 anos e tetraplégico buscando absorver e entender o que de melhor a vida tem para me oferecer e eu a ela. Renascer, ter que aprender tudo de novo como se fosse um bebê, e assim eu fiz. Continue reading Livro em Portugues por Joao Manoel Ardigo (Portugues). New Delhi: The Indraprastha College for Women is all set to have a new hostel from next academic year. The new hostel will be disabled–friendly and equipped with amphitheatre, bank and a studio for mass communication. Continue reading Educational Travel: Accessible Hostel at Indraprastha College for Women. El Real Patronato sobre Discapacidad es un organismo público adscrito al Ministerio de Trabajo y Asuntos Sociales que, entre otras actividades, promueve la aplicación de los ideales humanísticos, los conocimientos científicos y los desarrollos técnicos hacia el perfeccionamiento de las acciones públicas y privadas sobre discapacidad, prestando apoyos a organismos, entidades, especialistas y promotores en materia de estudios, investigación y desarrollo, información, documentación y formación. En esta línea de actuación y con el trabajo de coordinación de Polibea Turismo, ha puesto a disposición de la Escuela Universitaria de Turismo de Lanzarote el desarrollo, en sus instalaciones de C/ Rafael Alberti, 50, en Tahíche (Lanzarote), de un Curso de Formación en Turismo Accesible que tendrá lugar los próximos días 5, 6 y 7 de Junio en horario de 16:00 a 19:00 horas. La finalidad de este Curso es dotar a los estudiantes, futuros gestores de todos los eslabones de la cadena turística, de conocimientos y formación que potencien la equiparación de oportunidades en materia turística y que generen un incremento de la participación de las personas con discapacidad en todo tipo de actividades de ocio. "Good Samaritan" Design as Architectural Solution at Heritage Sites? The tide is turning against retrofitting for inclusion. The leading edge of this retreat from justice is often most blatantly stated in projects involving "heritage sites". Simple calculations of immediate cost trump future-oriented stewardship of social good. The gutting of the International Building Code is one example. The arguments put forward by administrators at St. Stephen's College at Dehli University add the pernicious resurgence of the philosophy of patronizing exclusion. When inclusion is not held as a fundamental good -- but rather as a "Good Samaritan's" option -- the iron rod of a caste system is barely disguised by a guilding passing as virtue. Below Mr. Vinod Choudhury abdicates the institutional responsibility to educate by claiming as virtue the generosity of students who daily compensate for his college's structures of exclusion. Rather what he exposes is a case where students seem to enter his school with an innate sense of the justice of inclusion and an inclination to make that possible. Meanwhile the "curriculum" imposed by St. Stephen's architecture is a relentless education in injustice and exclusion-by-design. Is that the heritage upon which Dehli University was built? Less than Universal Design is a travesty. New Delhi: AT A time when most Delhi University (DU) colleges are making structural changes in their buildings to make the environs disabled–friendly St. Stephen's has decided against construction of ramps for wheelchair user students. Authorities say no external construction of any kind is possible in St. Stephen's since it is a heritage building. St. Stephen's is one of the three colleges that constituted Delhi University in 1922, the formation year. the good samaritan in us makes us want to help students ascend stairs whenever they need help. We have had a lot of students in the past who were wheelchair user. And students have always volunteered to help, without being instructed." A.D Mathur, Convener of Admissions, said: "There are several issues with constructing ramps, the technical specifications like low roofs and old pillars are some limitations which we cannot overlook." On ambilift, he said, "That is way too expensive and we haven't given that option a thought." Continue reading "Good Samaritan" Design as Architectural Solution at Heritage Sites?. The workshop theme “Designing Inclusive Futures” reflects the need to explore the issues and practicalities of design that is intended to extend our active future lives in a coherent way. This encompasses design for inclusion: in the workplace; for businesses; for the individual and of products in these contexts. The philosophy underlying inclusive design specifically extends the definition of product users to include people who are excluded by disability and rapidly changing technology, especially the elderly and ageing, and prioritises the role and value of impairment and disability in innovation and new product and service development. It also addresses the context of use, both physical and psychological, and the complexity of interactions between products, services and their interfaces in specific contexts of use, such as in the workplace and during independent living. Universal access and assistive technology are seen as key focussing domains for these issues. The workshop aims to encourage wide-ranging discussion, co-operation and collaboration within and between the universal access and assistive technology research communities in the context of inclusive design. We hope this will lead to new solutions to reduce exclusion and difficulty arising from impairment with special application to our future lives, in the workplace, at home and at leisure. Continue reading Creating a better balance of work, living and leisure, for disability and ageing. Before last weekend there was no park within the borders of the city of Hamilton that was accessible to the developmentally challenged. "When I found that out, it was a shock," said Ward 7 councillor Scott Duvall, shaking his head. The first term councillor earlier this year was confronted with that stark reality when desperate representatives of the non-profit organization Hamilton Challenger Baseball Association asked for help in seeking a park to allow their developmentally challenged members play baseball. Continue reading Hamilton Ontario Works to Make Parks Inclusive. GALLERIES OF the Allahabad Museum, specifically the ones on the upper floor, will now be made accessible to the senior citizens as well as physically disabled people. The task will be accomplished with the help of construction of a lift in the museum building, the proposal for which is awaiting the approval of the Allahabad High Court. According to the chairman of the museum Prof RK Verma, the renovation of the museum building will definitely attract more visitors to the spot and thus it is extremely necessary to add a lift to the museum so that the senior citizens and physically disabled people are not devoid of the opportunity to visit the galleries of the first floor. However, the sources have disagreed to the new project and describe it is as waste of money. Continue reading Allahabad Museum Moves Toward Accessibility. Shoji Nakanishi Chairperson, DPI Asia Pacific Region. Topong Kulkanchit, DPI Asia-Pacific Development Officer, passed away at 11:20 (Thai local times) on 7 June 2007. He returned from the South Asian workshop on 'Capacity Building of Southern Disabled People's Organizations in Bangladesh on 5 June. At that time his condition was bad, so that he stayed at home for a while. Then he developed a high fever over 40 degrees and was taken to the Army Hospital. In the night on 6 June, his condition turned to be critical. He had cardio-respiratory arrest 5 times until the morning. After the struggle with illness, while he was taken heart massage from doctors, he passed away. Continue reading Topong Kulkanchit: Tireless Advocate. Continue reading Development or Despair? == Taliban Tactics. It is a fundamental of advocacy for Universal Design that the failure to implement UD puts travelers at disabilities at risk -- as well as those who serve us. It is very encouraging to read that the Service Employees International Union is ready to make common cause with us and work together for the growth on Inclusive Travel. I encourage you to take the action step requested by the union and contact Kevin Rudiger. I have. The Service Employees International Union (SEIU) represents thousands of passenger service workers at airports around California. As you may know, these workers provide many important services, including wheelchair and aisle-chair services and other forms of assistance for passengers with disabilities. sufficient training to provide the levels of service expected. Continue reading Support The Service Employees International Union (SEIU). Continue reading New International Building Code. Mahesh is going to earn honorary "Contributor of the Week" with the flurry of excellent submissions he has sent in to the Rolling Rains Report recently. Thank you! Continue reading On Samarthya from Mahesh in India. Continue reading Learning About Accessibility Secondhand. Associated Content is a portal for writers. Carolyn R. Scheides is an AC writer. Yesterday she posted a piece called, How to Travel With a Disability. Although she has been publishing with AC since February this seems to be the first time she has self-identified as disabled and taken on the topic of travel with a disability here. Congratulations Carolyn. Keep adding the voice of your experience to the growing dialogue on this topic. People are listening. A few years ago, it seemed that universal design was the wave of the future. It was an approach that considered accessibility and safety in homes, especially for seniors and those with impaired mobility. It made sense not only because of our aging population but because anyone could have a temporarly health problem or injury and have to rely on crutches. And yet home designs with accessibility and safety in mind seem to have been left behind in the energetic response to the worldwide green design movement. Building green is about saving resources, sensible choices and creating a healthy living environment. But if these large, multistory homes are decked in eco-friendly clothes but don't feature an awareness of the future, they can't serve our generation-spanning population. Continue reading When Green & Universal Design Separate. In 2002, the National Association of Home Builders developed a certification program aimed at training contractors on the unique needs of the elderly and how to modify their homes to make them safe. In the five years since, more than 1,000 builders, architects, home remodelers and other professionals have signed up for NAHB's three-day aging-in-place course. Certified aging-in-place specialists, or CAPS, follow many of the principles of Universal Design, which aims to accommodate users of all sizes and abilities. Read more in a series on Universal Design as a solution to aging-n-place at Moving On: With new products, renovations, seniors can stay home. Resources are available for developing inclusive Tourism in the Communauté d'agglomération Pays Voironnais region of the Rhone-Alps. For the article in French see here. 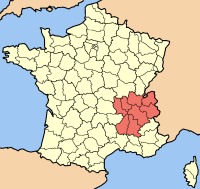 Continue reading Le premier Territoire rural de tourisme adapté (French). Statistics show that the incidence of disability as a consequence of aging is decreasing in the US. We also know that these benefits still correlate strongly to income. The more affluent the less likely one is to be disabled. The following interview offers an insight into where disablement, income, travel, and medicine intersect. David Williams of the Trang web cá cược trực tuyếnWorld Health Care Blog interviews Josef Woodman, author of Patients Beyond Borders. David: Did you have a prototypical patient in mind when you wrote the book? Josef: There are two types of medical tourists. One is the cosmetic surgery crowd and the Beverly Hills, Chevy Chase crowd. They head down to Brazil. They’ve got their own network. They spend probably twice and three times the amount they’d spend in America and come back home and brag about it. That’s a relatively low number. That’s not the crowd that we addressed.The crowd that we saw repeatedly in these hospitals were part of the 46 million uninsured and another 30 million under or partially insured. These are folks that are aging into expensive medical procedures, and they find themselves financially challenged. They’re in the middle class. They’re in the upper working class. They don’t want to have to sell their home or sell their small business just to pay for an expensive procedure. random drawings of $100 cash prizes as well as a $500 grand prize. where they can share ideas and talk about topics of mutual interest.